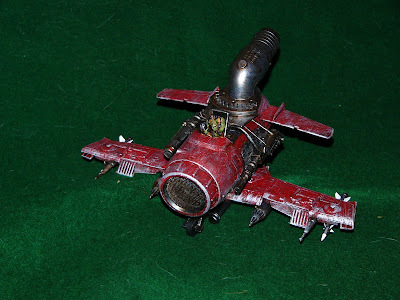 I am going to add 2 Dakkajets to my Battlewagon Rush. They are decent anti-tank!!! DECENT! Slightly more reliable than lootas at similar cost I think. Double Shots on a Waagh Turn? When I need those transports open the most!!! 4.5 Results!! = ASSPLODES! X2. No Deffkoptas, but we are adding Snikrot. Ambush is 50% more predictable than just outflanking a Kopta. My experience with koptas is, you need them on the left, so they come in on the right. Snikrot, while not being able to get them sooner, allows you to come in where you want. They also force your opponent to play away from the edge of the table. 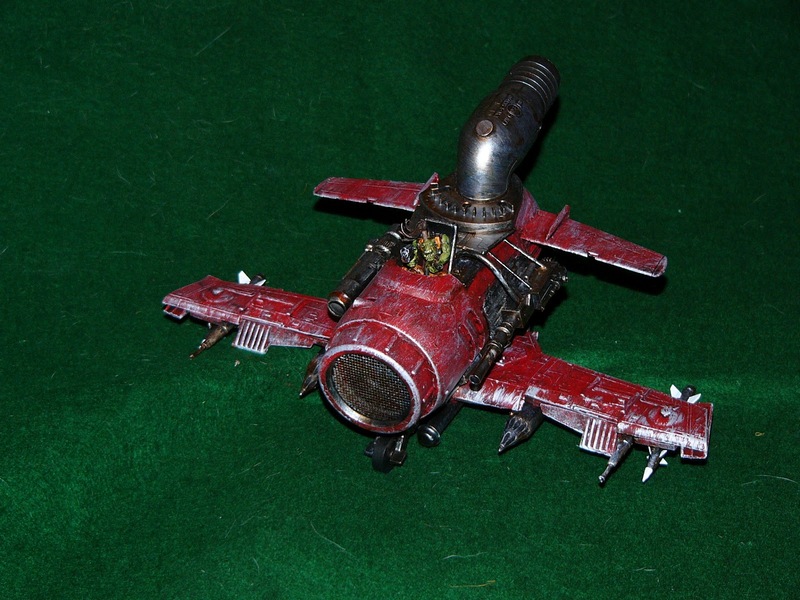 If I find that Snikrot isn't all that great, I will swap him for 12 Lootas and a cybork body for my Big Mek. Also, a lot of people say that my Nobz and Big Mek are too armored, to that I say... pfft! Although I am beginning to hate the idea of the armor since all I ever play is grey knights and armor and painboy are garbage vs them. Time will tell if they get watered down even further. So why bother taking the Jets? First off, they are a massive distraction. I need people to not shoot at my wagons first and foremost. Since my jets should be neglected, they will have an opportunity to do some damage with all of those Str 6 shots. What these gits also allow, which will be even more interesting, is some decent ranged anti-infantry fire power. Being able to kill hordes of Footdar or Bugs, or whatever at a reasonable range is new to me. I am pretty excited about these jets, but I am quick to react on things so time will tell!!! Well, if they get flyer rules in 6th then they very well might be worth the points... Depending on the prevalence of AA mounts.